Pavel Milyakov - La Maison De La Mort. Vinyl LP. Bleep. You may know Pavel Milyakov better as Buttechno, the whacked-out club moniker through which he has released records on labels like The Trilogy Tapes and Incienso. 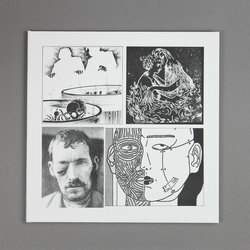 However, new Berceuse Heroique LP La Maison De La Mort proves that the stuff Milyakov makes under his given name is also well worth your time. This is a record of experimental electronics, aquatic pad ambiences and techno sat at the very edge of the dancefloor. Think Autechre, Aphex and Actress.